Candidate has to fill the application form online with applicant details such as name, date of birth, Education etc. Application form will be available online at its official website in the month of April 2019. Candidate must know the instructions carefully by visiting the official website before going to apply. Eligible candidate should be apply online only, there is no other mode to apply. The candidates shall apply through online after payment of fee and generation of reference ID. After filling the online application, printout should be generated. Applicants must be of 18yrs of age. The upper age limit would be 35yrs old. Relaxation in the upper age limit will be given to the reserved category candidates. Bachelor/ Master Degree in the relevant disciple from any recognized University/ Institution is required. Applicants must have secured the minimum of 50 % marks in their 12thstandard and 40 % marks for reserved candidates (SC/ST categories candidates). Candidates have qualified the Bachelor of Education (B.Ed.) from any recognized University/Institution. Applicants have to secure the minimum of 50 % marks in their qualifying degree. Fill the application form and click on Submit button. Remit the application fee via online or through offline mode. Mode of payment would be online or offline mode. Application fee amounts to Rs-200/- for general category candidates. Relaxation will be given to the reserved candidates when the official notice will be release by the authority. Paper-I is basically teaching at Primary level (I-V). 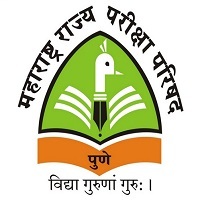 Paper-II is teaching at Upper Primary level (VI-VIII). Paper-III includes those who are interested in teaching I-VIII standard. Question paper carries of 150 marks. Total no. of questions would be 150. Duration of the exam is 1 ½ hrs. Question paper consists of questions related to Language-1, language-2, pedagogy, mathematics and the environmental studies. In order to qualify the test candidate need to score 60% marks. Candidates have to download the admit card through online only. Enter the applicant registration number and date of birth to download admit card. The examination authority will not send the Admit card by post. So candidates need to visit the official website for Admit card download. Visit the official site i.e. on www.tstet.cgg.gov.in. Search for the link of Admit Card on the home page. Fill the details required in the form name, DOB, registration no. etc. Take the print out of it and don’t forget to carry on the examination date. The Result will be announced in online only. The result for all category posts will be declared in the month of July 2019. The candidate has to visit the website after the announcement of result. The candidate may get the result by entering the hall ticket number on the official website. Candidate must take the print of the result for future reference. The result shows the candidate Name, marks /Score roll number, exam center and other information. 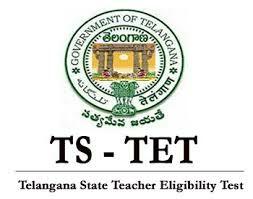 TS TET 2019 will commence in the month of May 2019. Don’t forget to bring the admit card on the examination date otherwise the examiner will not permit to give the examination. 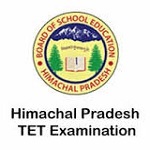 The admit card will be issued to the candidate prior 15days of the examination. Admit card has to be downloaded from the official site by entering some details. The result will be declared after some time of the conduction of the examination. can we apply for two papers? Sir I have to do my practicals in degree yet.. theory completed.. I am doing deled from nios which I will complete in June.. can I apply for it? Now present am pursuing b. Ed final year can i apply for tet in this year. same previce sellybus 2017 or any changein hindi. తెలంగాణ ప్రభుత్వాల పని ఇంత నిర్లక్ష్యమా? Hi sir, my name is sindhura valli, I have done M.tech in EEE. Can I apply for tet(primary/upper primary/both).